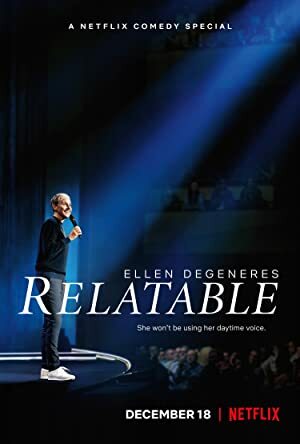 Ellen DeGeneres: Relatable (2018) – What's New on Netflix Canada Today! Netflix Original – Ellen DeGeneres is “Relatable” in her debut Netflix original comedy special premiering December 18. Filmed at Seattle’s Benaroya Hall, Relatable marks Ellen’s return to stand-up after a 15-year hiatus.